For first-time sellers on eBay, the rules around fees can be a bit confusing. Before you put your first item up for sale or auction, take the time to learn the eBay and PayPal fee structures so you're not left with unexpected charges when your sale is completed. There are several groups of fees that you should keep in mind as you sell on eBay. These fees aren't always obvious, so they can sneak up on you easily. Listing fees, for example, are not charged for your first 50 listings every month But if you exceed 50 listings in a month or list items in multiple categories, you'll pay a fee for every listing that you create. Many of the options that can be added to listings to enhance their visibility incur additional upgrade fees that vary on a per-feature basis. 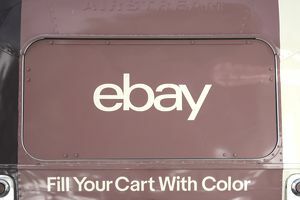 For successful listings (cases in which items sell), eBay also assesses a fee that is a percentage of the sale price. And don't forget the PayPal fees. If you accepted payment via PayPal, their fees will be automatically be deducted from the payment amount before the balance appears in your PayPal account. Because eBay and PayPal fees are subject to change, it's generally not a good idea to rely on the fee amounts discussed on message boards or included in articles on third-party websites. Instead, always check the relevant eBay and PayPal pages for details on current fees. The most recent eBay fee table outlines eBay's fees in detail. This table can always be found simply by searching for "fees" using the eBay customer support tool. PayPal's fees are generally easier to understand and calculate and are always available in current form on the PayPal fees page. If you're a new or infrequent seller on eBay, reading through these fee charts carefully can help you to understand how much it will cost you to sell an item on eBay. It can also help you calculate how much headroom you should leave yourself if you have a particular cash-in-pocket goal in mind after a sale. It's not hard to see that this is a complicated fee structure. Sitting down to calculate the precise cost in fees for a hypothetical sale can be a time-consuming and error-prone process, particularly if you're new to eBay selling. For this reason, it's a good idea for new or infrequent sellers to check the fees they'll be charged using an eBay fees calculator (these also typically help to calculate PayPal fees as well). Just be sure to check the "current as of" date on the fees calculator to ensure that it's returning the correct, current set of fee calculations to you. Can I Get a Refund for Fees I Didn't Know About? In short, the answer is no. Don't spend your time trying to get a refund from eBay or PayPal with claims of ignorance as your justification. It just won't work. Instead, take a tour through the fees and fees calculators above and make a decision about whether you're still interested in selling on eBay, and if so, at what price.